+Note co-driver pacenote book is a high-quality product which can be easily used by beginners and can also satisfy the needs of experts. I discovered the +Note co-driver pacenote book, if I remember correctly in 2012, thanks to Linda Tripi, a co-driver who suggested I should use it as I had decided to replace the bulky pacenote books, made by competitors, with this new sleeker product. It is lightweight and easy to handle, these being the most striking features of this fab product. A great product! I love it for its quality materials. The perfect choice for the race car. While before I was using a competitor’s product, I noticed it wouldn’t last longer than a year without puncture. 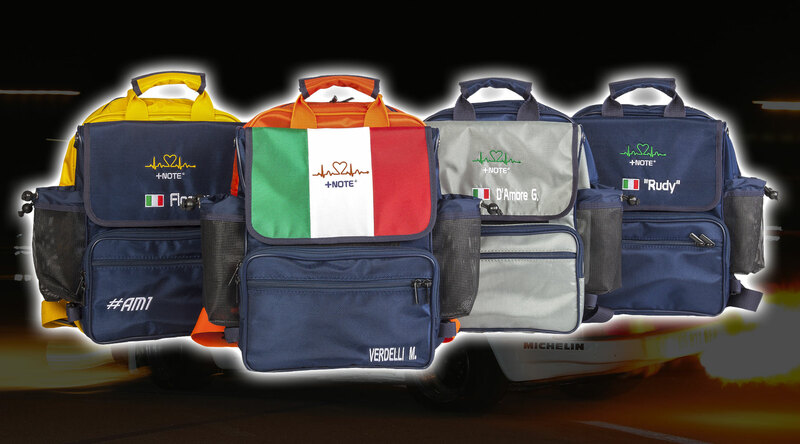 One of the major strengths of the +Note backpack bag for co-driver is its durability. I also love the bottle holders, they are so useful. The point of strength of +Note backpack bag for co-driver is that it is more of a backpack than a bag. We have everything inside and too much weight and it, being more of a backpack than a bag, the weight is well balanced on both shoulders. The material is of a superior quality and I love it so much that I have recommended it to many friends and clients who have purchased it, just because of its perfect weight balance, thanks to the double belt. Everyone got excited. +Note co-driver pacenote book is the best product I have ever used in the last few years. I like the paper texture and the excellent value for money. I have discovered the +Note co-driver pacenote book thanks to my friend Stefano Farina. I prefer the small size because I find it more comfortable. I have used many pacenote books but I do like everything about +Note! Light and tidy. I have tried other notebooks but I like everything about the +Note co-driver pacenote book! I like its light weight and how the page lines are divided and for me it’s important to give order to my writing. It is the only one allowing me to write as I wish. Around there are pacenote books to write down notes and then there is +Note co-driver pacenote book which is a different story. A pacenote book without compromises. Once you try it, you will never go back! I had used other pacenote books previously but once I tried this one I came to the realisation that pacenote books can be so different. The material is perfect and allows you to remove erasures without damaging the sheets. 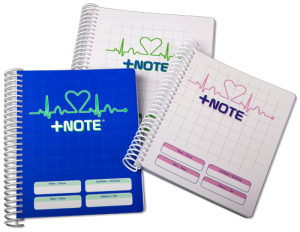 The +Note co-driver pacenote book is the perfect combination of practicality and strength. A classic product that once tested you cannot live without! The paper is made of the highest quality and after testing it in really extreme conditions I can guarantee and state that it is an excellent quality product. I use it with the utmost satisfaction. If compared to other competitors’ products, one of the +Note co-driver pacenote book’s key strengths is its detailed accuracy, which includes a great number of available customized choices and add-ons. In all these years I have tried more than one pacenote book, but I find that the +Note ones are the best. First of all because of the paper used and then because they have everything you need for a race. I discovered the +Note co-driver pacenote book thanks to Stefano Farina and some other friends who were already using it. Once I tried it for the first time, I started liking it straight away and since then I have never gone back. The essence of my job is to be precise and well organized. That’s why I was searching for the perfect notebook where convenience, order and technique merge together for an excellent result. +Note co-drivers pacenote books reflect all these features. After more than one year of tests and studies we came up with a product which in my opinion is far better than the ones I had used before. Versatility and strength. +Note backpack bag for co-driver gives everything the good co-driver needs. I have been using the +Note backpack bag for co-driver for the last 3 years and I really couldn’t do without them. The system of separating the two parts is very convenient, especially during the races as everything remains in the right place. I would strongly suggest that all my colleagues try the +Note backpack bag for co-driver because it’s a real innovation in our role. 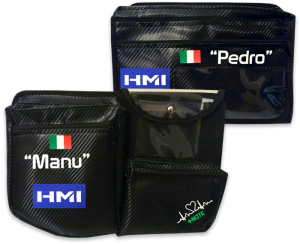 +Note backpack bag for co-driver is a great product. That’s why Alice and I have decided to sell it even at our school. Compared to other competitors’ products, I appreciate the fact that it’s not a bag but rather a backpack. The +Note co-driver pacenote book is a product specifically designed for the co-driver, the perfect choice to be in safe hands during the races and a valid technical support tu grow up. I do like the paper quality of the +Note co-driver pacenote book, the right thickness and the user-friendly spirals. I use the one with the plastic spirals and I have never had a problem turning the pages. HOW +NOTE PROJECT WAS BORN? +Note starts from an idea of Stefano Farina and Cristian Zullo, famous co-drivers from Verona, who decided to join their forces to create this project. We may not be pro, but we love living our passions at the highest professional standards. We tried several pacenote books, but none of these could meet the needs we had on board, every time the light turned green and we had to focus on a special race. In 2011 we started our research which became very soon a thoughtful, serious and careful project. Our goal, combined with a meticulous attention to detail, has been the creation of the best quality and most practical products.